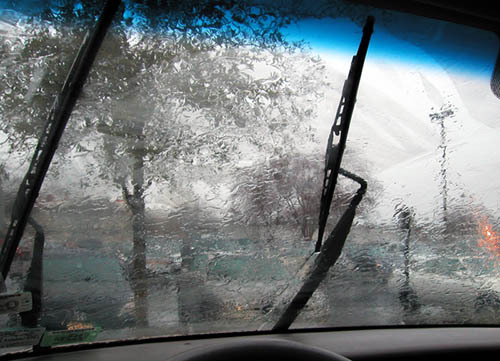 Steve’s Car Tip #1: Are Your Windshield Wipers Safe? With all the rainy weather we’ve been having this spring (and more on the way) it’s good safety sense to have your windshield wipers in tiptop shape. It’s a fact that 90% of driving decisions are based on vision. When the rain is pelting the windshield and visability is impaired, you are at an increased risk for an accident. Don’t risk your safety or that of others, check your windshield wipers before setting out or have an expert mechanic assess them. If at or near the Lake of the Ozarks, Gerbig’s Osage Auto Service will happily help. Call or stop by (573) 302-4555. What will we do to help? After assessing the exact problem, we will know if the solution lies in simply replacing the blades. Or, the correct thing to do may be to fix the arm…it could be as simple as straightening it. It is best to get expert advice and (most important) to not neglect your wipers.